This Review Will Teach You Everything You Need To Know About ActiveCampaign and more….The EntrepreneursGateway.Com Team Leave No Stone Unturned In This Definitive Review. Pros, Cons, How ActiveCampaign Compares Against The Competition And Ratings. Does ActiveCampaign get the EntrepreneursGateway.com’s seal of approval as being one of the best Email marketing tool on the market? Is it easy to install and use? Does it come packed with features? Well, we have tested every feature it to the MAX! If you’re looking for an Email marketing solution, you’ll love this review. (We’ve even got a handy COUPON for you further on). Email automation features are extremely robust but a but difficult to use. Good value, even with the Lite Plan. No free account though. A bit sluggish but quite easy to use once you understand it. Many support channels with helpful staff and documentation. Is Active Campaign the Right Email Marketing Tool for you? ActiveCampaign feels like it’s relatively new to the market; however, it’s been in business since 2003. With nearly 100 employees, it’s a small business yet growing fast, just like the majority of businesses it serves. 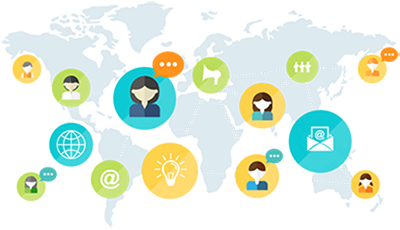 ActiveCampaign is based in Chicago and offers its customers an affordable way for them to keep in touch with their customers! And….. it’s rapidly becoming one of the largest email marketing platforms in the industry. 15 years later, ActiveCampaign has developed into a fully grown, email marketing and sales CRM platform which is intelligence driven and heavily reliant on automation, thus giving customers greater power over sending emails, with much less effort. 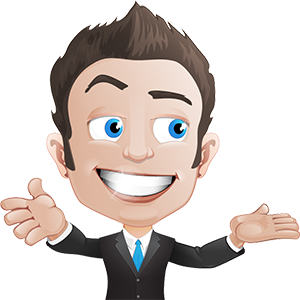 For this review we have fired it up to see how it does….. could this be the best autoresponder for email marketing? In this section, you’ll discover which method ActiveCampaign uses with list segmentation to ensure that you offer the right products to the people that are interested in them. You get the best of both worlds with ActiveCampaign for list segmentation, as you can choose between both a tag-based system and list-based system. This is a great feature, as you can choose just how you would like to be able to manage all of your contacts. You can either use multiple lists or multiple tags with a single list! This can be done manually, in bulk, from both the lists menu or the contacts menu. Having said that…. to be able to take full advantage of all ActiveCampaign can offer, it’s my recommendation that you choose to segment your lists using tags; more specifically, what’s knows as either behavioral tagging (or automated tagging). By using, what’s known as, ‘automation workflows’, it’s possible to set up conditions, and that will tag your contacts, depending upon what actions they have taken. It enables you to set out conditions which can tag your own subscribers situated on different actions that they may take. An example that I’ve used frequently within this review is to apply a tag to a customer who clicks a particular link within an email. Performing this within ActiveCampaign is really easy, and what’s more, you don’t have to even quit the email editor. However, the real magic happens when you incorporate ActiveCampaign’s site-tracking feature with their tagging system. You can tag your contacts based on what interactions they have made on your website. By gaining more knowledge of a person’s interests, enables you to be more specific with marketing. This tool can provide endless ways to use that information. Check out The Definitive Review & Tutorial for #Email #Marketing #Tools and stay in touch with your contacts! Now, with everything taken into consideration, there is a downside with ActiveCampaign in relation to subscriber management. It offers too much flexibility, and this can really run away with you if you are not keeping a constant eye on things. …..then it’s strongly recommended that you change your habits when using ActiveCampaign. Believe me, or you’ll really wish you had. Verdict: I think that the management aspect is slightly overwhelming if you are a newbie, but... getting the best of both worlds when it comes to list segmentation and advanced tagging! 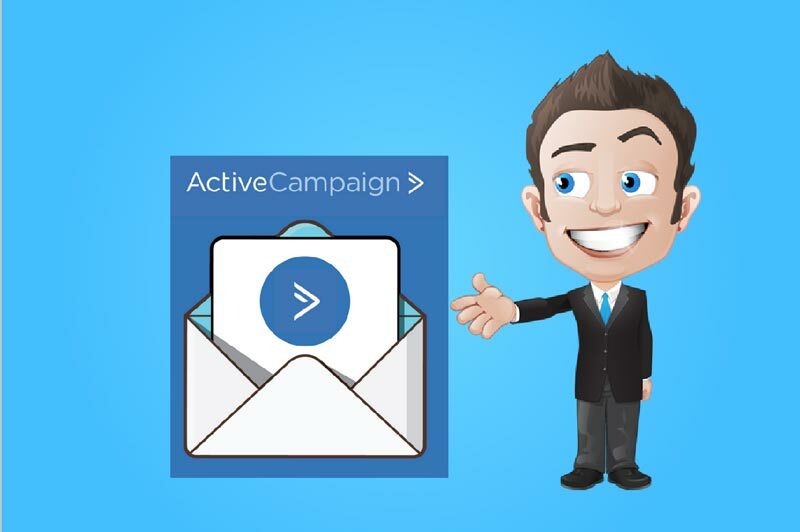 Automation is the main reason why people use email marketing right?…..Can ActiveCampaign automate your marketing to save you time and increase your profits? When it. comes to automation, ActiveCampaign is very similar to GetResponse and Drip, in that it uses what is called a ‘visual workflow builder’. So, you’ve seen the basic example (above), however, with some creativity, it can become quite awesome! It is brilliant if you want to create automations that are complex with conditional logic. This feature helps you to diversify into various segments doing different sorts of elaborate things with your own contacts. Both Drip and ActiveCampaign refer to these as ‘Actions,‘ and you will have more than enough to choose from! These actions, combined with both the site tracking and intelligent tagging will give you endless possibilities with marketing automation and what you are able to achieve. All of that said…..ActiveCampaign still has its niggles! Firstly, this visual builder is somewhat slow and a bit clunky. For example…, if you wish to add a brand-new email into your workflow, the system will take you away from the builder into an altogether new and different section of this tool. This can make what is usually a relatively straightforward action very frustrating and slow. It’s also not great that with every automation, you have to use the advanced builder. A much faster automation builder is something both ConvertKit and Drip can offer and, I would love it if ActiveCampaign were to implement this also. Without a doubt, If you’re able to get past some of its inefficiencies when you build out automations, you will be amazed at what exactly ActiveCampaign can do. Verdict: When it comes to flexibility and raw power of email marketing automation features, ActiveCampaign is right up there. It's just a shame their workflow builder isn't faster to navigate! So how does Active Campaign manage it’s split testing capabilities? How can it improve your goals and conversion rates? ActiveCampaign has two ways it can run split-tests. One is a more traditional way: When setting up your new email campaign, you simply select the option. Making headway through the actual setup process, you will be prompted as to the type of split-test that you would like to run. With this first option, all you need to do is have two versions of subject lines. For the second option, you will have two different email templates to work with. It will allow you to be able to test lots of different variables of your choice, and ActiveCampaign then divides your list so that it can test to see which one works best. What’s great is being able to define a winner during, or even after the actual campaign has finished. As I’m sure you can now see, ActiveCampaign gives you a lot of control on how this test should unfold, which includes how the actual winner is ascertained and the accurate ratios to use. When this is used correctly, this could amount to hundreds and indeed thousands of additional revenue for your business. However, as I said before, there’s also a different way you can carry out split-tests using ActiveCampaign…. Rather than simply testing the emails against one another, ActiveCampaign gives you the option to split-test the whole automation workflow. It’s referred to as a ‘Split’. You simply need to add this at the beginning of your automation. Then you work out how you want to split your contacts up, as well as deciding if you want a winner or not! SO…..did I tell you what the most exciting part of this was?…..
ActiveCampaign doesn’t hold anything back when you select the conditions for these tests. This means that, based on lots of different criteria, you can crown your winner!! I know one thing, if used effectively and strategically, it can be huge an increase your bottom line!!! Verdict: When it comes to ActiveCampaign's split-testing features, I simply cannot fault it. They really have covered everything! Almost every email marketing tools have their own form builder. But…..are ActiveCampaign’s form building capabilities enough to help you to build your forms seamlessly to ensure your leads are captured through whichever method you use? Unless you are signed up with one of the more expensive packages, you only have the option to build ‘inline’ forms. I’m not just talking a few extra dollars….you will be looking at more than doubling what you currently are spending. (that’s if you decide to move from the Lite plan and upgrade to the Plus plan). So it’s fair to say….. you’ll need to pay a lot more to be able to create different forms. You can see, it is quite straightforward and does feel similar to their email builder. With regards to design flexibility, let’s just say there’s not much. You only get a few options when you click on any field. None of these gives you the ability to alter the design. However, ActiveCampaign offers a CSS editor, so they have redeemed themselves slightly. Unless of course, you don’t have any knowledge of CSS. The ‘Inspector’ tab will allow you to choose an aspect of the form, so you won’t have to stress about finding right CSS selectors. A downside to using the inline forms is that it’s branded ‘Marketing by ActiveCampaign’. To remove this, you do need to upgrade. For me, it’s a deal-breaker! So, if you’re happy to accept their branding on your opt-in forms, then may I suggest you use a FREE email capture software, such as List Builder (from Sumo.com). You can then integrate it with ActiveCampaign. This, at least, gives you the option to use various types of forms. Facebook: Simply add your form on your Facebook page. There are a good few options here, and I think this makes it a strong aspect of ActiveCampaign’s form builder. Verdict: ActiveCampaign probably isn't the best choice if you don't want to use their branding on your forms unless of course, you upgrade. So how does ActiveCampagin compare when it comes to their choice, design, customization and responsiveness of their email templates? Let us begin with ActiveCampaign’s own pre-designed templates. 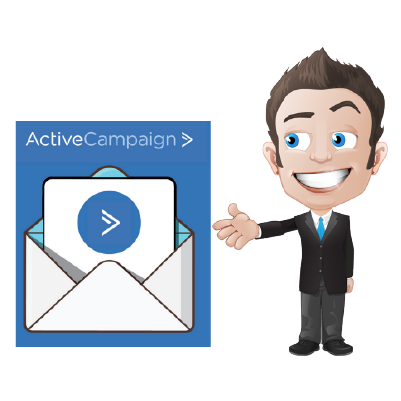 ActiveCampaign only offers around 30 email templates for you to choose from. Compared to other email marketing tools out there, that’s not great. OK….not off to a flying start….so what about the actual design? Alternatively, if you prefer, you could start it from scratch, which is the route I tend to take. ActiveCampaign’s email builders are one of the better ones around, but it still has its problems. It does feel the same as the form editor, yet with more options in respect of the elements that are available and more flexibility with the design. Here are some elements that are available, together with some styling options. 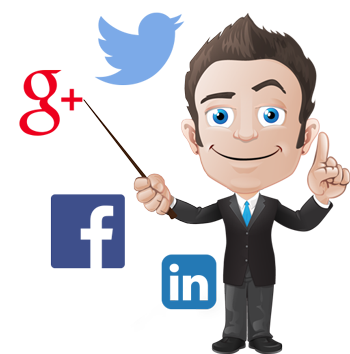 There are some cool things that you could do to display your email content that is based around specific criteria. This is what is known as ‘conditional blocks’, and these can be found by clicking on the small cog icon. So, this means that you can alter your email content, based on the specific interests and tags of your contacts. This becomes more powerful, the more automations you have. ActiveCampaign has a big issue with pasting text into the email editor, so you need to make sure you check it. It’s not difficult to amend though. Verdict: ActiveCampaign isn't for you if you want modern templates (and lots of them! ), however, if it's just a decent email builder, then it's definitely worth a shot! Can ActiveCampaign communicate with third party applications? ActiveCampaign has established itself within the market, and as such, they have a wide list of integrations; over 150 in fact, which include the likes of WordPress, Shopify, and Stripe, to name a few. I especially like the documentation within the apps and integrations library as it gives you an in-depth explanation of how these integrations work with ActiveCampaign. ActiveCampaign offers well over 150 #app #integrations with an extensive integrations library! Just so you know, Drip, who is one of ActiveCampaign’s competitors, doesn’t even support half of these apps. Even though it may not stand up to MailChimp in this department, you will undoubtedly be able to source what you need. ActiveCampaign does integrate with Zapier, so at least you have an alternative if nothing else works. Verdict: Great choice when it comes to being supported by third-party applications. How does ActiveCampaign rate at being able to review its data analytics so that it helps you to improve the overall effectiveness of your email marketing and also improve your profits?….. The ‘tracking your campaign’ feature works very much the same with all of the email marketing tool providers out there. You simply need to configure the options just before sending your email. ActiveCampaign offers additional options to the standard open and link tracking choice. These consist of ‘Reply Tracking,’ allowing you to run independent automations that are based on the replies, and sites like ‘Google Analytics’ will give much deeper insights into each of your campaigns. One other thing to take into consideration is their ‘Site Tracking.’ This lets you do some insane stuff with marketing automation – something which I mentioned earlier on. This can be set up in under a minute! It’s worth doing should you wish to take advantage of the automation features in ActiveCampaign. You will be happy to know that ActiveCampaign does go to town with the statistics for each campaign. By clicking on any of the reports, it gives you a more detailed breakdown. What really appealed to me about the reports is that it gives you the ability to drill down to the relevant contact. It then allows you to run a further campaign for these contacts, for example, for those who didn’t open the email, you can resend it to them. You can also obtain reports for all of your automations. This shows statistics on your completion rate, average completion time etc.., (This is perfect if you want to optimize your automation workflows even further). It’s user interface isn’t the most intuitive. I think that’s clear to say for the whole of ActiveCampaign. It isn’t an intuitive interface, having said that, this does sum up ActiveCampaign in its entirety. Verdict: ActiveCampaign has one the best reporting and tracking environments out there but could seriously do with a speed injection. With any tool on the market today, the knowledge center is going to be where you are more inclined to go in order to get the answers to your questions. ActiveCampaign does have an extensive knowledge base, with videos, how to’s and webinars which cover practically every part of its platform. And you can reach them via email if you want a more personal answer to a question. I sent out an email, receiving a response within 24 hours which is pretty good. You can contact via live chat or phone if you can’t wait that long. However the live chat isn’t 24 hours, so it’s not always that helpful! Today, Facebook groups are a great resource for support with existing users, even if they are official or unofficial users. ActiveCampaign have 2 Facebook groups. They are both quite active, with numerous posts every day, with plenty of discussions on each. Verdict: There is a lot of support available and the responses I received are satisfactory. I especially liked the Facebook groups! There is no monthly limit on how many emails you can send. Limited features with their “Lite” plan. ActiveCampaign, when tested, achieved 34.6% open rate in the time frame given. Below are the results of the GlockApps test. Please note that unfortunately AWeber wouldn’t let me test with GlockApps. Extremely frustrating! Remember, ActiveCampaign may not be the right tool for everyone, let’s try to get down to who precisely this tool is going to be suitable for. ActiveCampaign is a real catch considering what you get, even though it’s had a price increase, when you take into account how capable of a tool it is, it’s still reasonably priced. 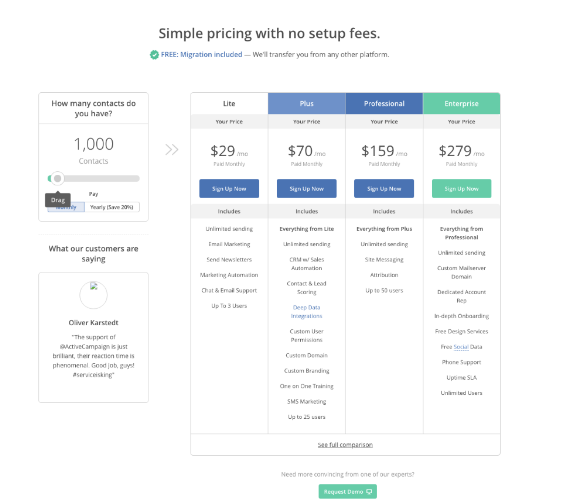 However, if you need to stick to a budget, then you may be better off with Mailchimp or Drip, as these offer free plans. I have said this several times now throughout this review, ActiveCampaign is not the most intuitive tool out there. And, it can do more or less what you need it to do but can be slow and slightly complicated. The question is can you still use this tool if you are a beginner, and you really wanted to? One of the best features about ActiveCampaign is its affordability, even justifying using it at its basic level, until your confidence grows and you start doing more advanced things. However, if maybe you want something that’s similar to ActiveCampaign, but is much easier to use, then I would have to recommend ConvertKit. Having read this far, you may not be at all surprised that ActiveCampaign is an email marketing force. It not only has a competent automation tool, but it can also do most things that other and more expensive marketing tools can do. 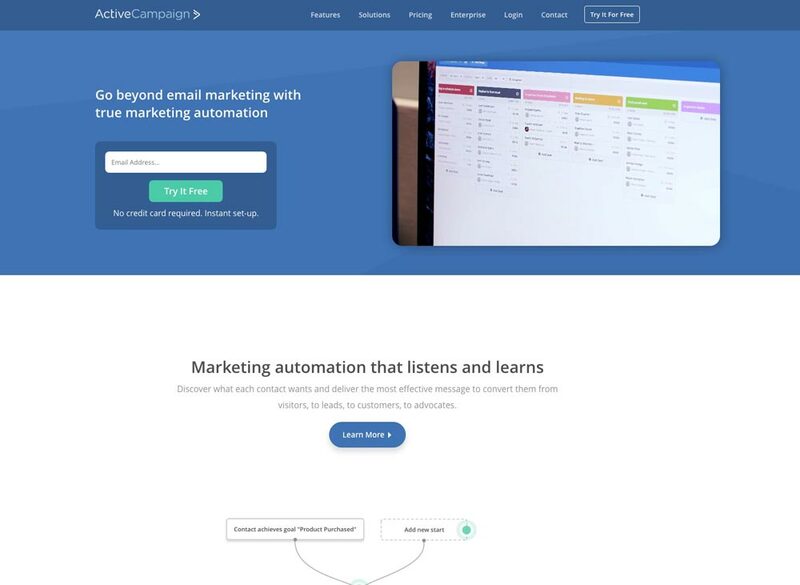 Some of you will prefer the speed and flexibility of Drip, or the many free features you get with MailChimp; however, it’s fair to say that out of all the email marketing tools we reviewed, ActiveCampaign seemed to be the most consistent. To see exactly how it compares with other email marketing tools, click here! And one more thing, if you’re thinking about giving it a go, why not try the 14-day free trial you’ve nothing to lose! Are you going to purchase ActiveCampaign or are you already using it?